This entry was posted in Cowboy Court, Uncategorized by Glasstec Paul. Bookmark the permalink. Did you in this instance notify the customer the dangers involved if a new windscreen would be fitted onto his car with it being in thus state. 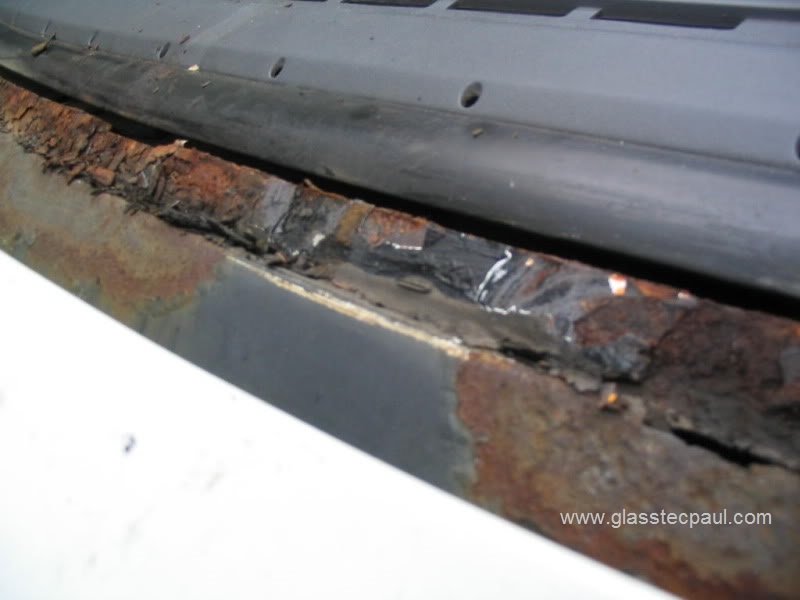 surely you walk away from this type of work as the vehicle is deemed un – repairable due to its condition and would affect warranty? a proper tech would use his noggins and refuse replacement!! This particular vehicle went in to a bodyshop to have all the rust cut out, and the whole scuttle panel was replaced. I have a Land Cruiser which apparently has severe corrosion in the wiring under the dashboard and under the floor. Toyota are telling me that they think its due to a faulty fitted windscreen. The car is only 4 years old, done 55,000km and had a new windscreen fitted more than 2 1/2 years ago (by a previous owner so I don’t know who fitted it). Is it possible that the windscreen was the cause of the corrosion? Also, would it have taken that long to corrode (the car is working fine – they only found out about the corrosion when I went to get a new key programmed) and should they have noticed the corrosion and/or the faulty windscreen during one of the cars standard 5,000 services (which they carried out numerous of over the past 2 1/2 years)? Any advice/help you could give would be great. Many thanks. It’s difficult to say for sure, but yes, I would say that the suggestion of a poorly fitted windscreen is a possible cause. Perhaps more likely in the UK. Aus? Many thanks. gI live in Qatar in the middle east. Would it take that long to corrode though? And are you able to say if it should have been picked up during services (including change of windscreen wipers) over the 2 1/2 years since replacment? I would have thought any moisture wouldn’t have lasted for long in Qatar! A leaking windscreen is a favourite suspect in these situations, and probably the first to check. But unless you can see evidence, it is merely one more thing to eliminate from an investigation. 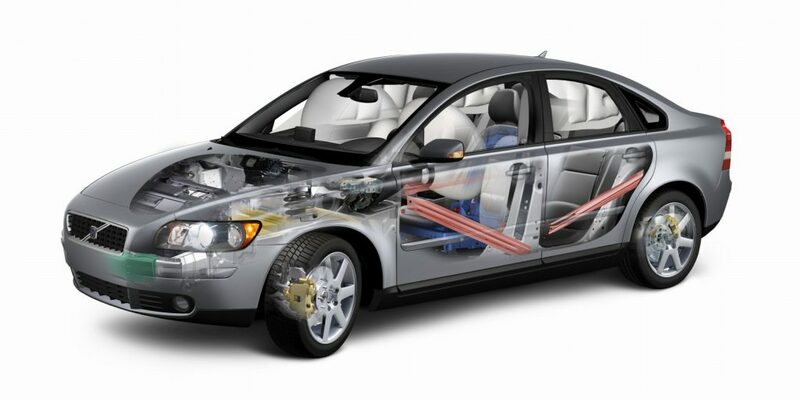 Water will find its way in from a variety of access points: door/tailgate seals; through the bulkhead (along wires or pipes which pass through it) or via a blanking plate, brake servo, cable; sunroof; and even the heater matrix. In some cases, panels seams will allow water ingress, or corrosion. For wiring to be ‘corroded’ as such suggests a little more than a leaking windscreen, no? Yes – not much moisture out here! Obviously what there is seems to have found its way in to my car though. I think I might need to get someone other than the dealer to have a look and check they don’t just use “windscreen” as an excuse. Many thanks for your help.